The Border Collie is an extremely intelligent and athletic breed. 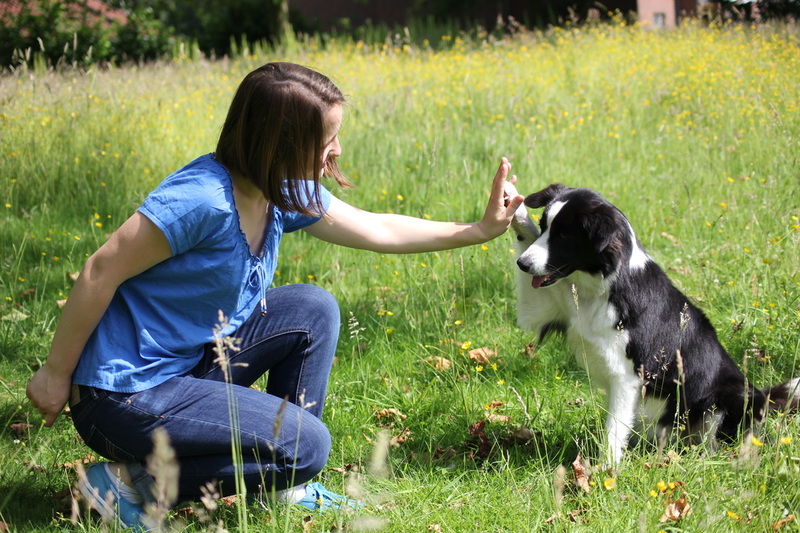 Possibly the most intelligent of all breeds, they can be trained to excel at almost anything where a dog is used. While the Border Collie is most known for working livestock, they are also often seen in search and rescue, and dog sports such as agility, flyball, and Frisbee. Border Collies can vary greatly from one dog to the next. They have an average weight of 30-50lbs. 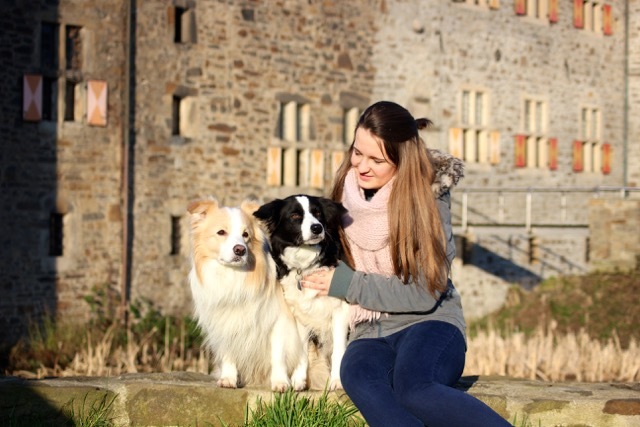 Their coat can be either rough (medium to long), or smooth (short). The Border Collie can also be seen in many different colorings, but most known is the color "black-white". 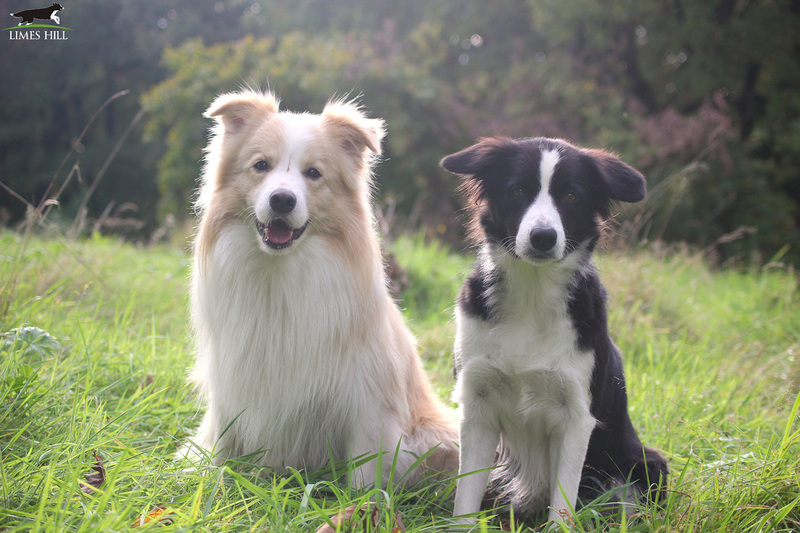 The Border Collie is descended from landrace collies, a type found widely in the British Isles. The name for the breed came from its probable place of origin along the Anglo-Scottish border. 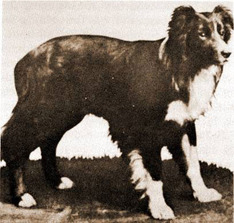 Mention of the "Collie" or "Colley" type first appeared toward the end of the 19th century, although the word "collie" is older than this and has its origin in the Scots language. 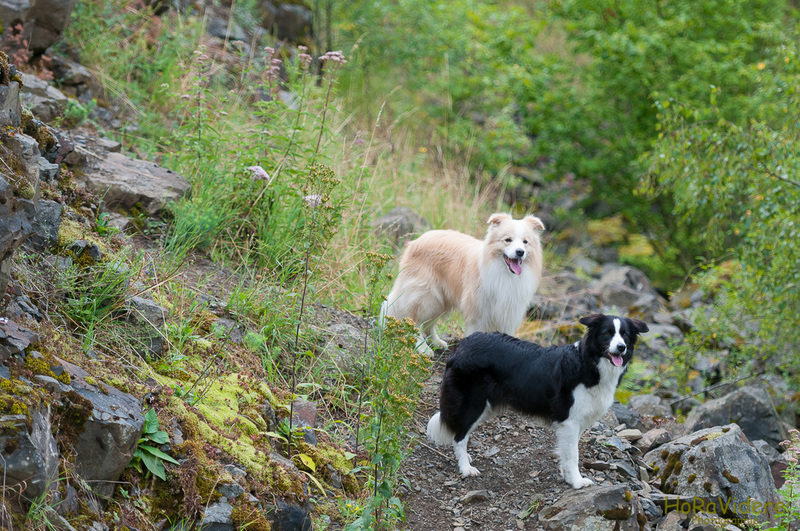 It is also thought that the word 'collie' comes from the old Celtic word for useful or from the latin word collis which means "hill". 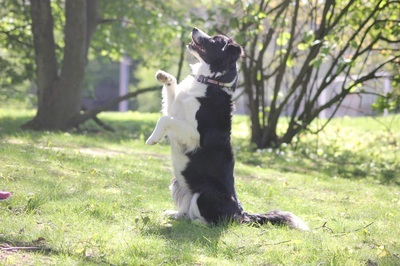 The Border Collie is a mindful, keen and intelligent dog. They are simple to educate and could learn a lot, because their great will-to-please. But be careful: They could learn wrong things fast as they could learn right things! 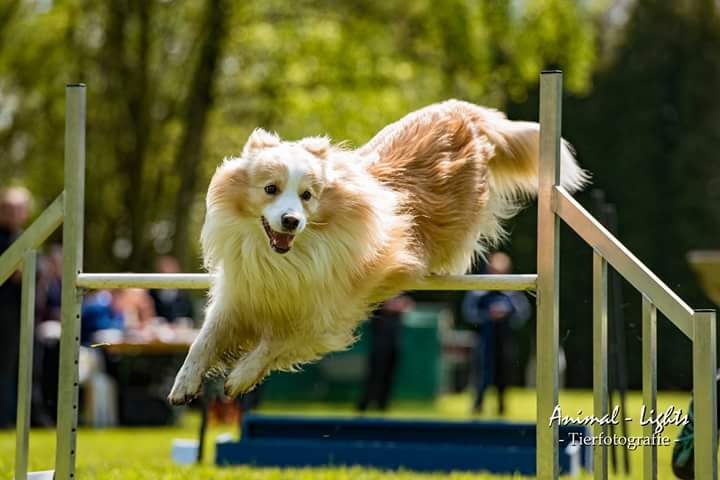 Border Collies are great partner and they are versatile dogs, who can train and work in different category like dogsports (Agility, Obedience, Flyball..), herding, as rescue-, or therapy dog. 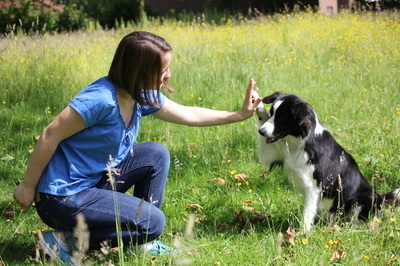 They got a sensible character, that means hard words are not necassary, when you show your Border Collie new things with joy and fun.